Cullen Bunn, master of the Deadpool limited series, joins comics legend Mark Bagley to set the sassin’ assassin against his own kind! The Assassins Guild, that is! They’re gunning for Deadpool and anybody he cares about, and Wade’s healing factor is about to be put to the ultimate test by the knife-wielding speedster called Harvester! And even if Deadpool is lucky enough to survive that encounter, the nefarious ne’er-do-wells lining up to take their shot will make that showdown look like a walk in the park! But the Guild picked the wrong Merc to mess with. 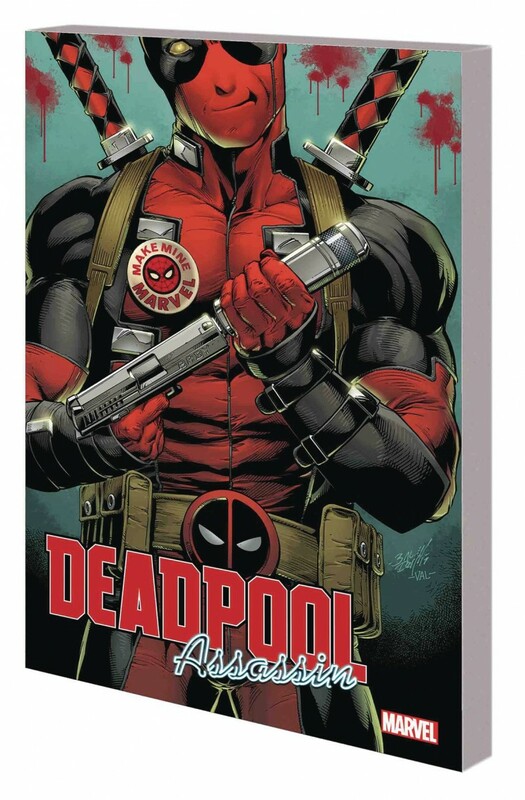 And soon Deadpool and his pals will take the fight to the assassins and hit them where they live - literally! But in an all-out assault on the Assassins Guild’s HQ, not everybody will make it out in one piece!